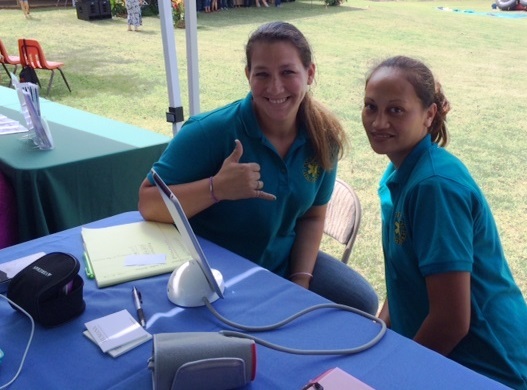 KRHCAI Health Career Student Volunteers take FREE blood pressures at Ka’u Coffee Festival Ho’olaulea « Ka'u Rural Health Community Association, Inc. Brandy Cordeiro and Lono Grace, KRHCAI Health Career Volunteers offer to take free blood pressures at Ka’u Coffee Festival’s Ho’olaulea on May 10, 2014 at the Pahala Community Center. Hundreds and hundreds of people attended the popular event!